Description: A low growing plant of shady wooded areas. 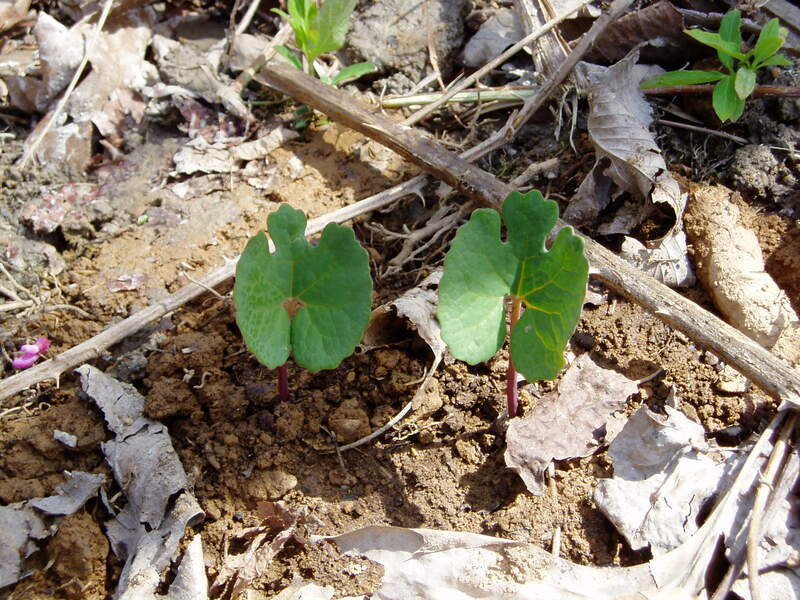 Bloodroot plants consist of a single fleshy leaf atop an often red or pink-tinged stalk. The leaves are unique and easily recognizable, having a round or slightly ovate overall shape with deep, symmetrical lobes. Utilitarian Uses: A red/orange dye can be made from the bloodroot sap. Other Notes: The Iroquois native american tribe used the orange sap from this plant as decoration.